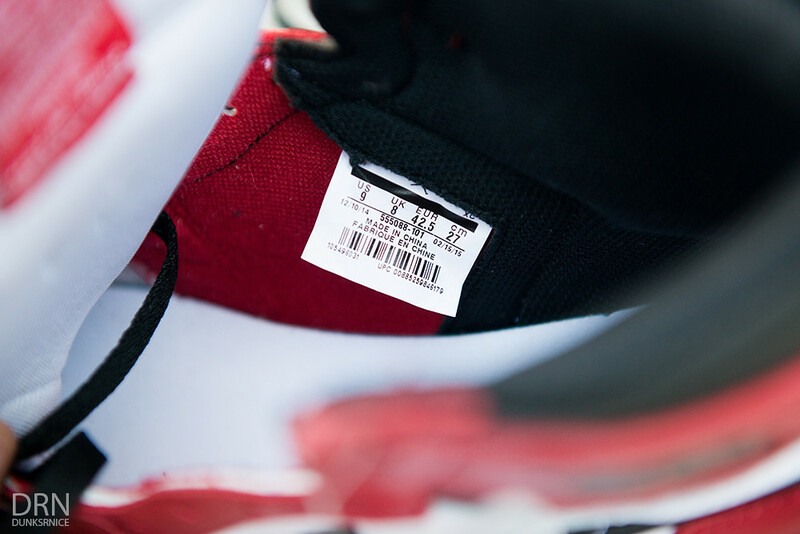 Back in 2013, Jordan Brand retroed the Chicago I's but with the non-original treatment. 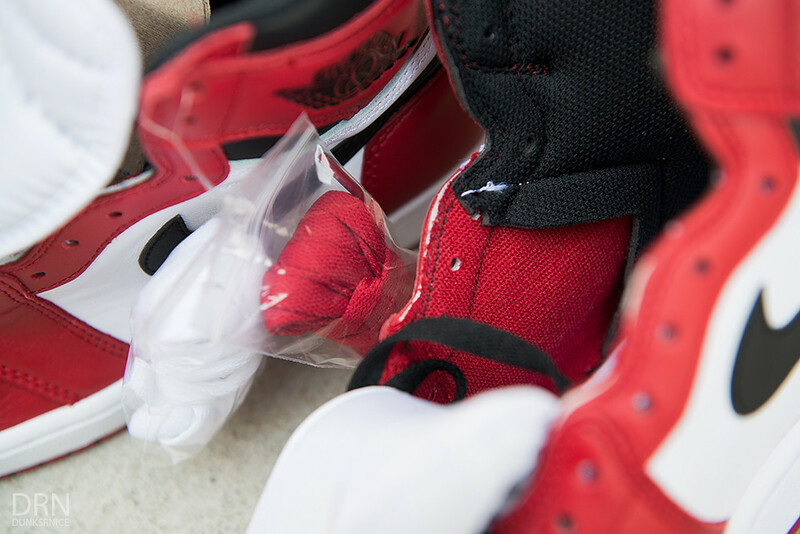 Two years later, Jordan Brand finally retros the iconic and beloved Chicago I's with the original Nike Air treatment. 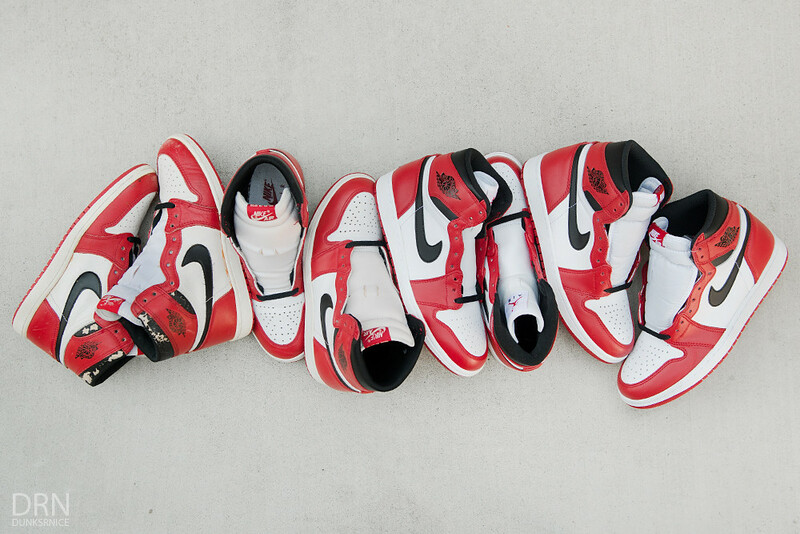 I have the 1985, 1994, and 2013 pairs and I thought it would be great to see the comparison leading up to this weekends release. 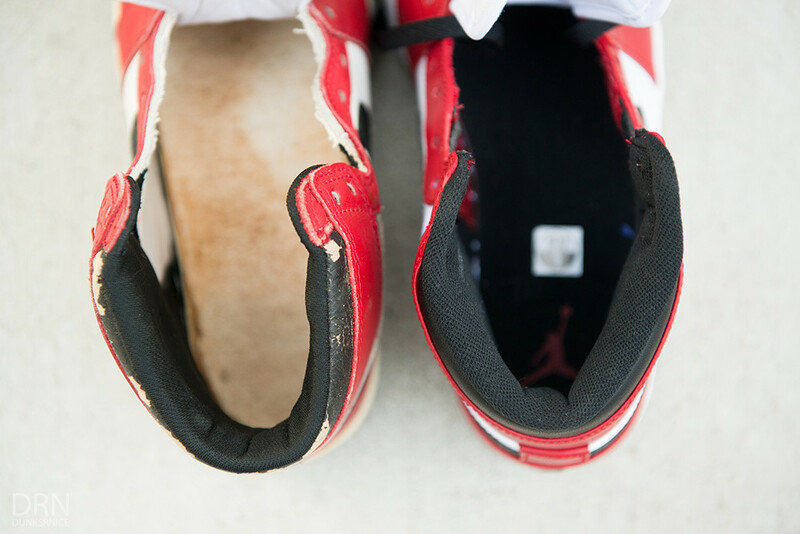 Lets take a look in comparison with all four pairs. Kindly enjoy these photos. 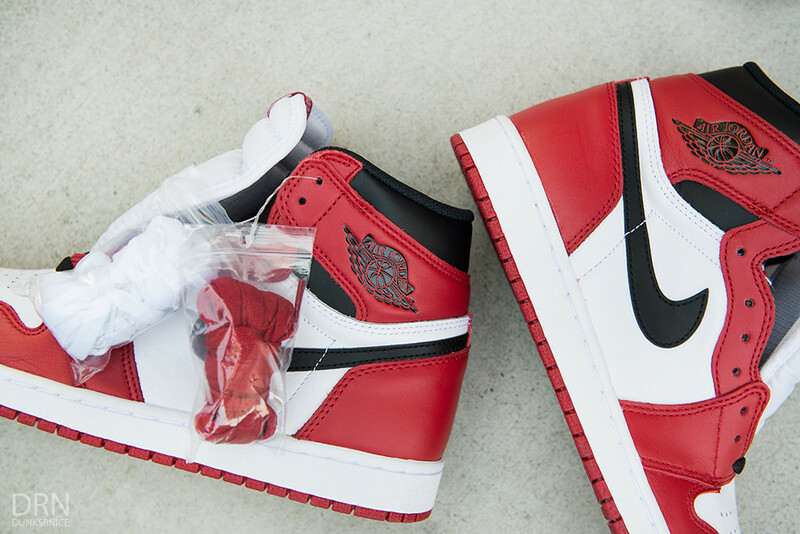 Top - 1985 & 1994 Chicago I's. 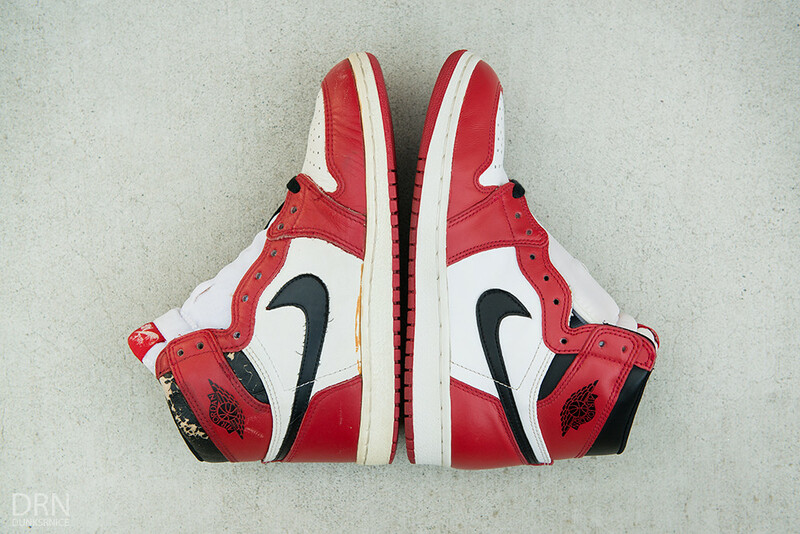 Bottom - 2013 & 2015 Chicago I's. 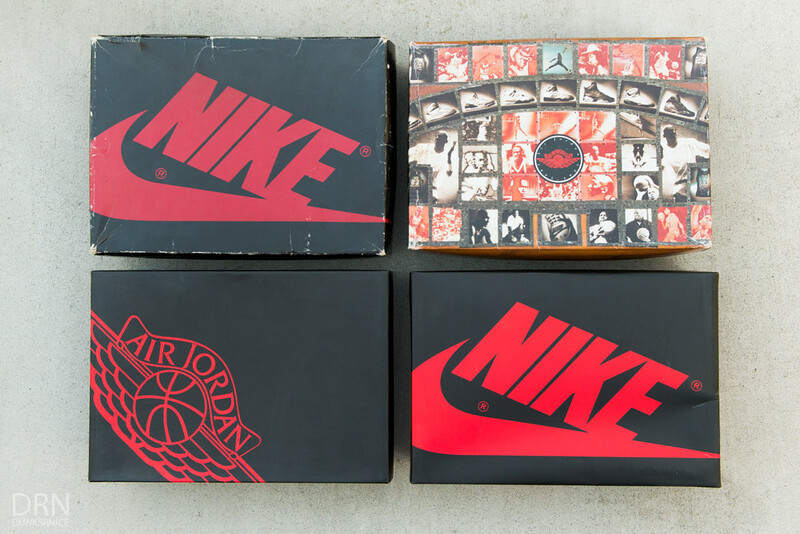 Top - 1985 & 1994 Boxes. 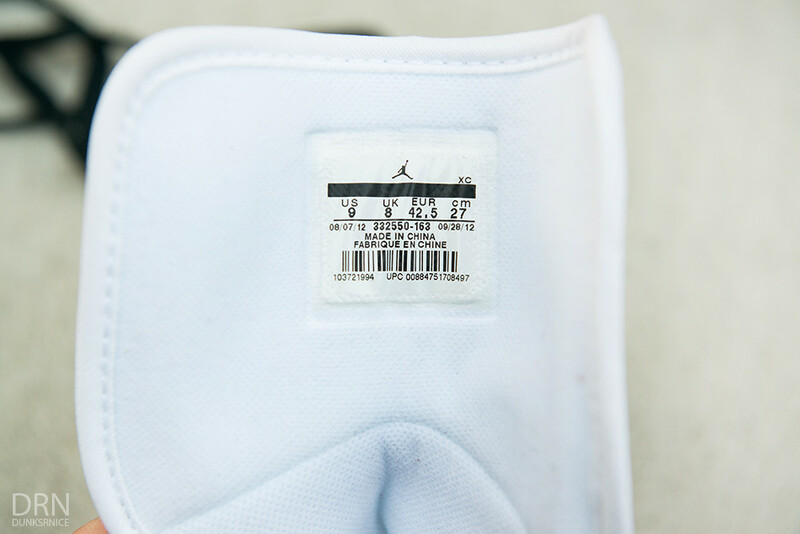 Bottom - 2013 & 2015 Boxes. 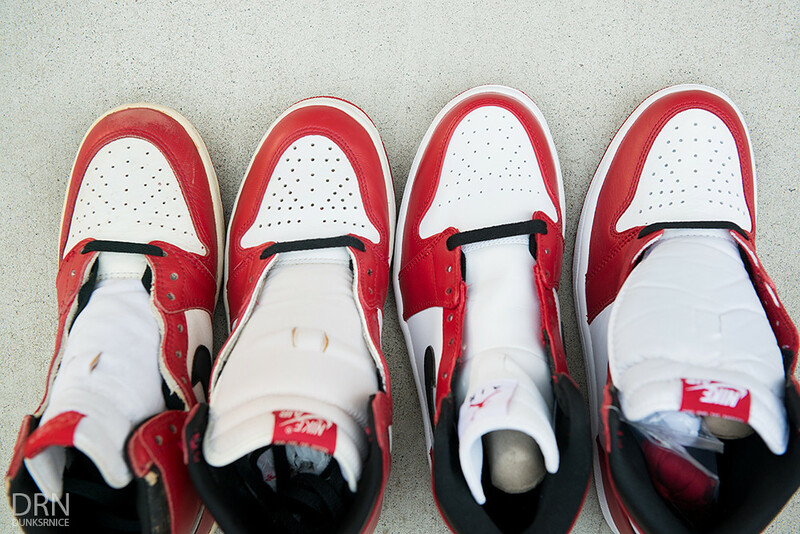 1985 Pair (Left) & 1994 Pair (Right) height difference. 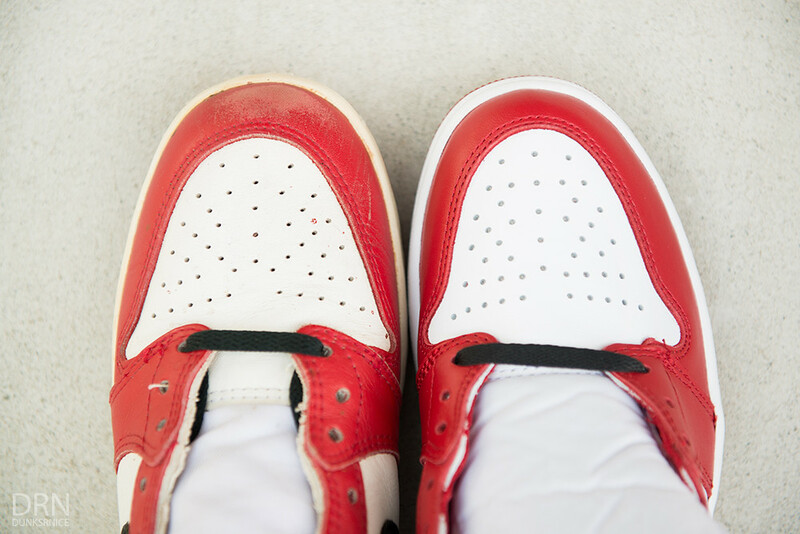 1985 Pair (Left) & 2013 Pair (Right) height difference. 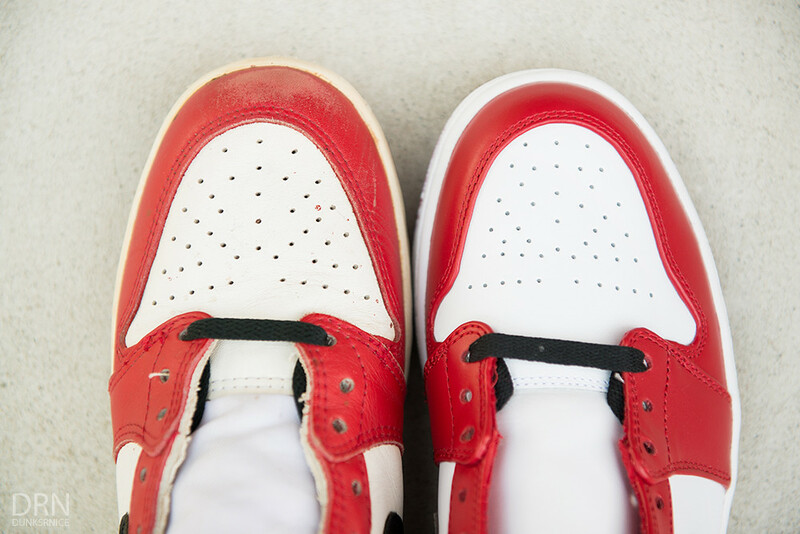 1985 Pair (Left) & 2015 Pair (Right) height difference. 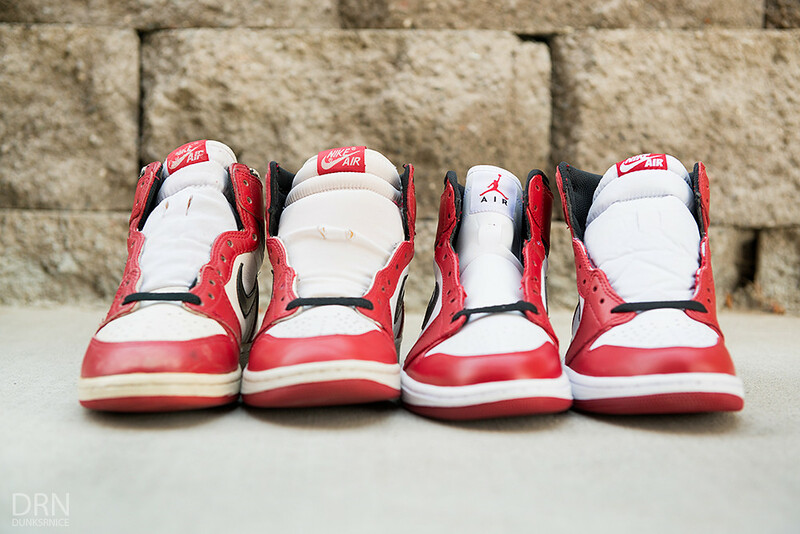 Left To Right - 1985, 1994, 2013 & 2015 height difference. 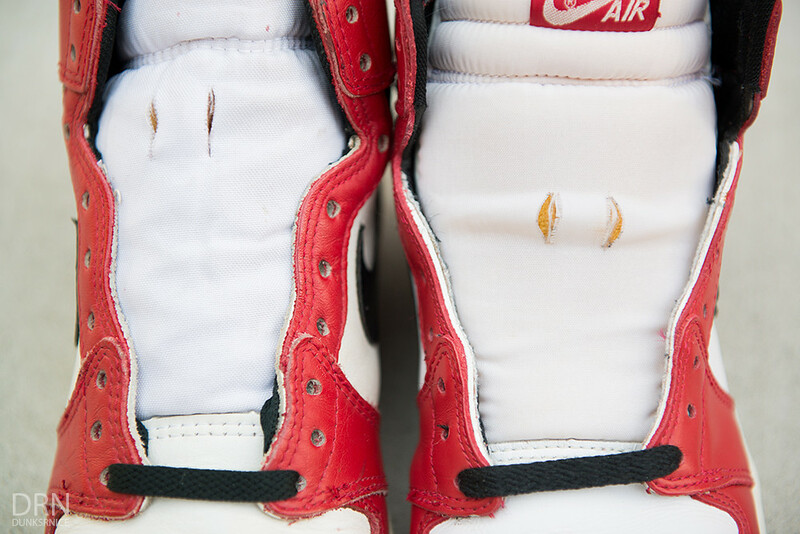 1985 Pair (Left) & 1994 Pair (Right) toe box. 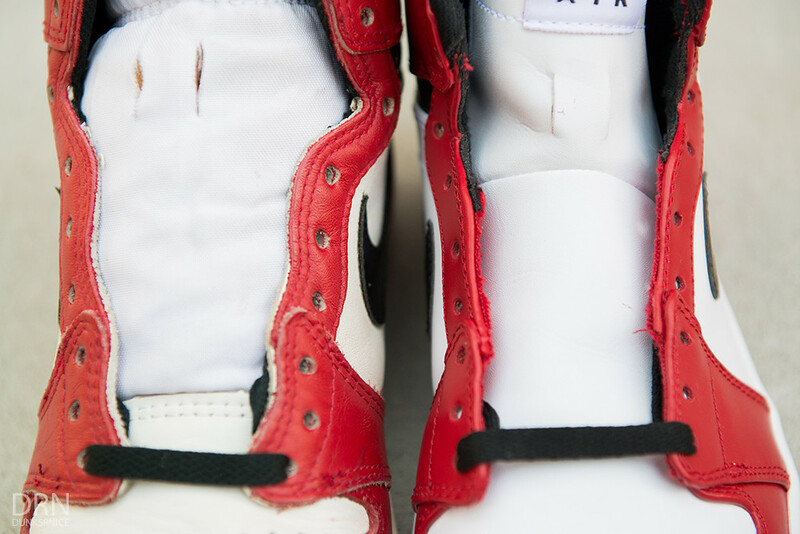 1985 Pair (Left) & 2013 Pair (Right) toe box. 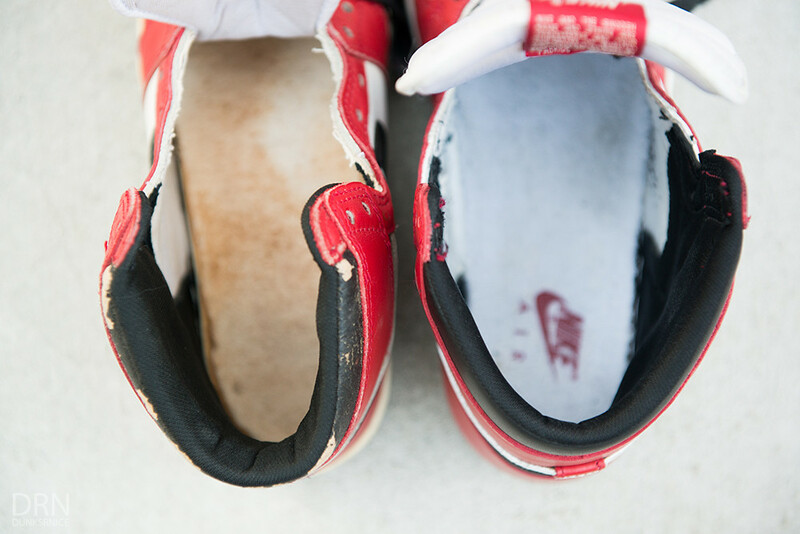 1985 Pair (Left) & 2015 Pair (Right) toe box. 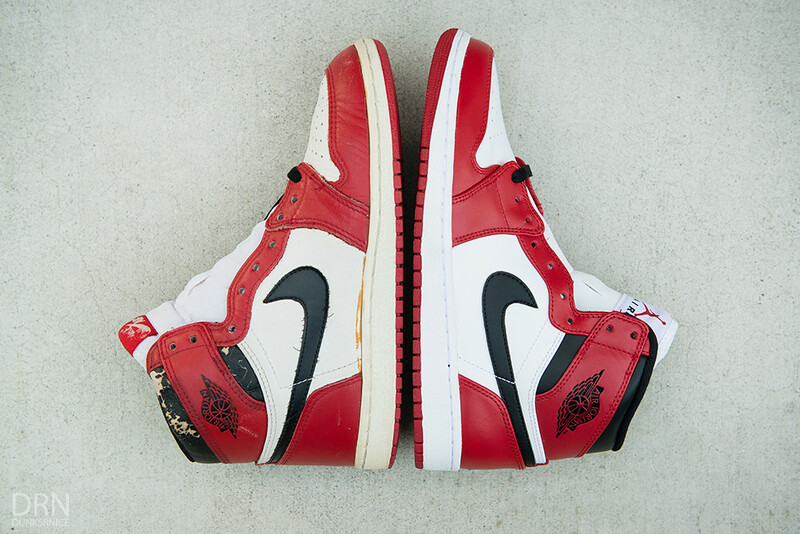 1985 Pair (Left) & 1994 Pair (Right) tongue. 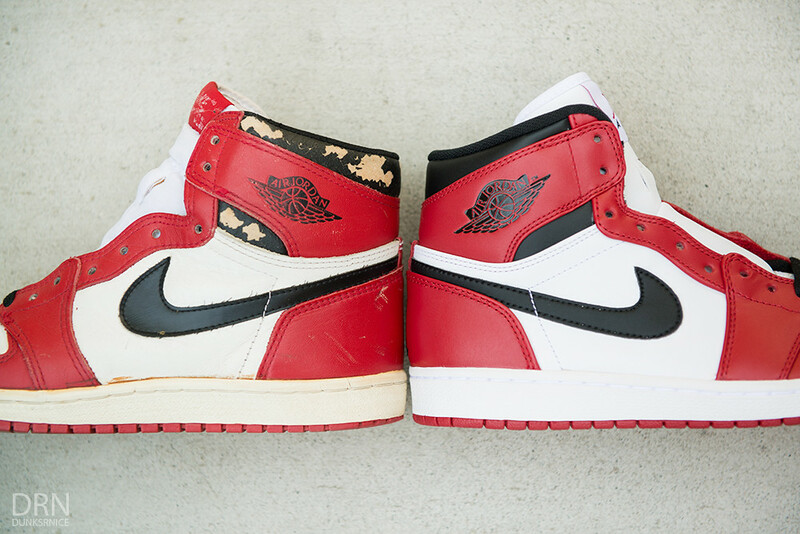 1985 Pair (Left) & 2013 Pair (Right) tongue. 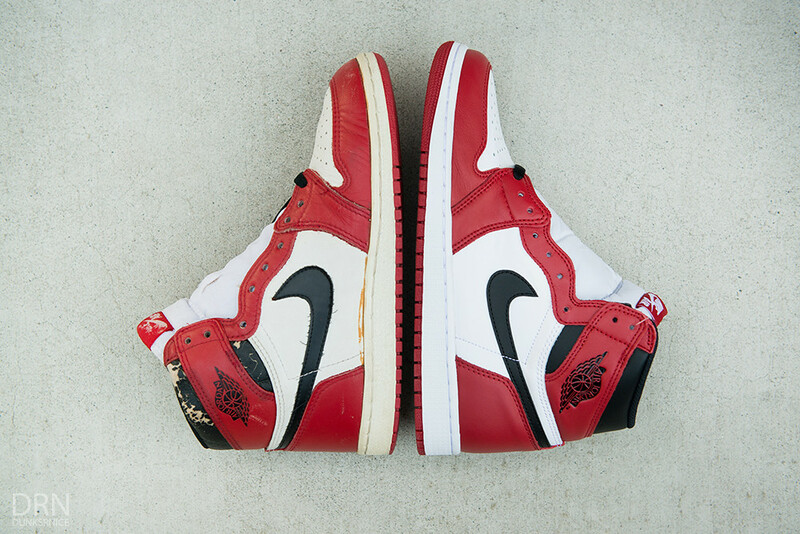 1985 Pair (Left) & 2015 Pair (Right) tongue. 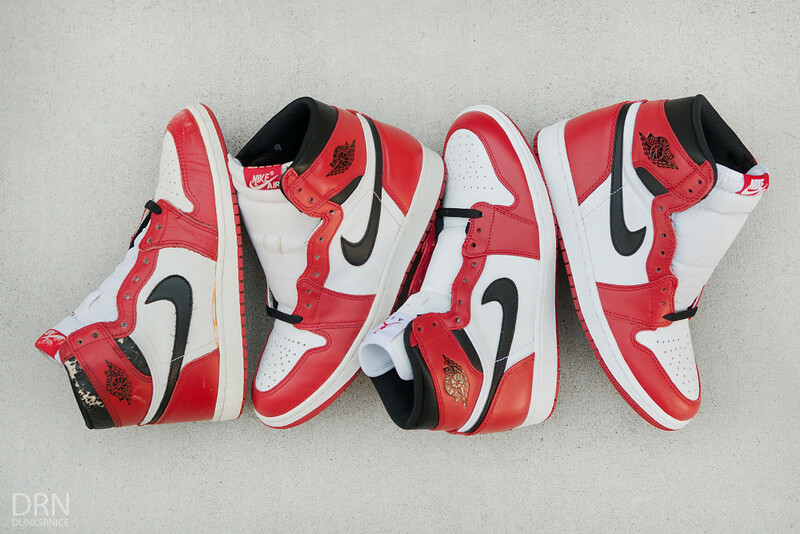 Left To Right - 1985, 1994, 2013 & 2015 tongue. 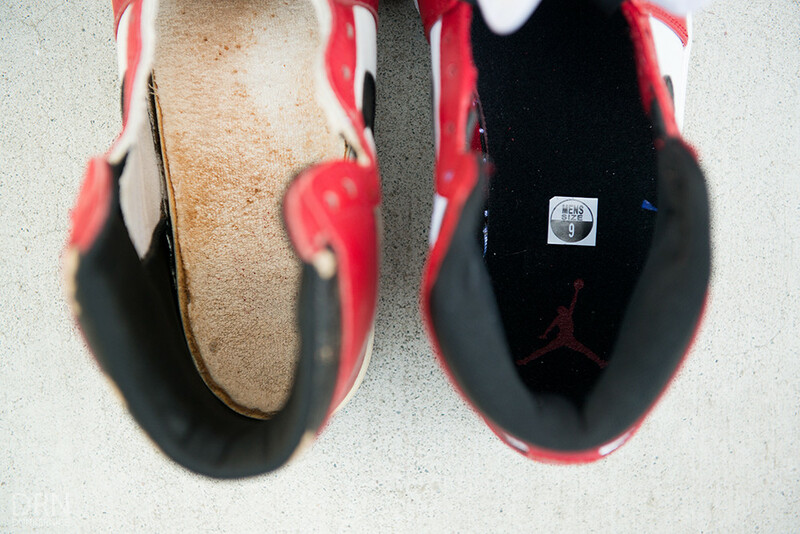 1985 Pair (Left) & 1994 Pair (Right) insoles. 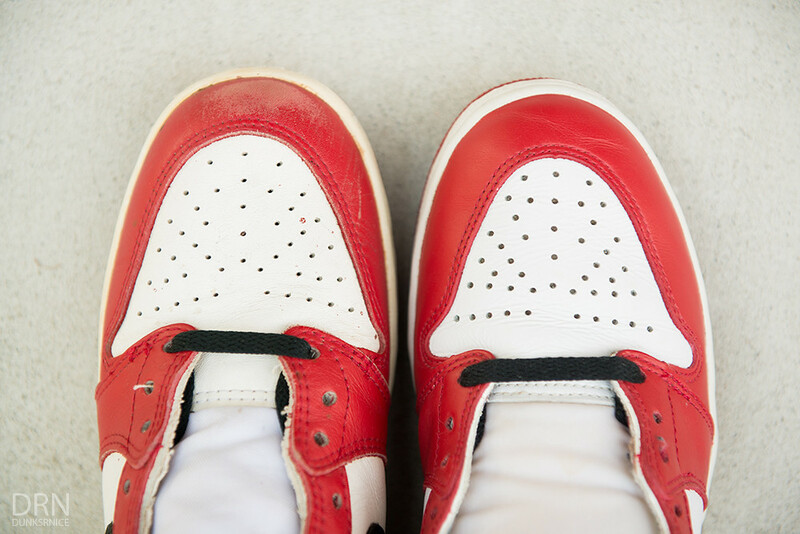 1985 Pair (Left) & 2013 Pair (Right) insoles. 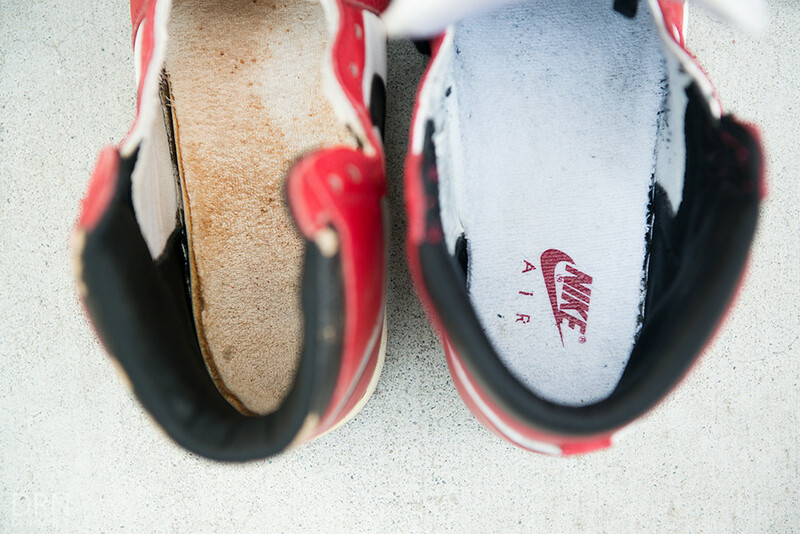 1985 Pair (Left) & 2015 Pair (Right) insoles. 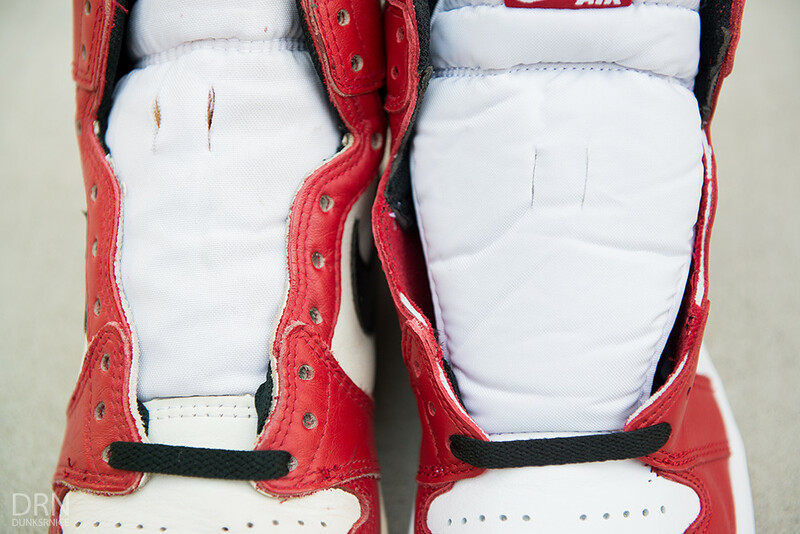 1985 Pair (Left) & 1994 Pair (Right) collar padding & material. 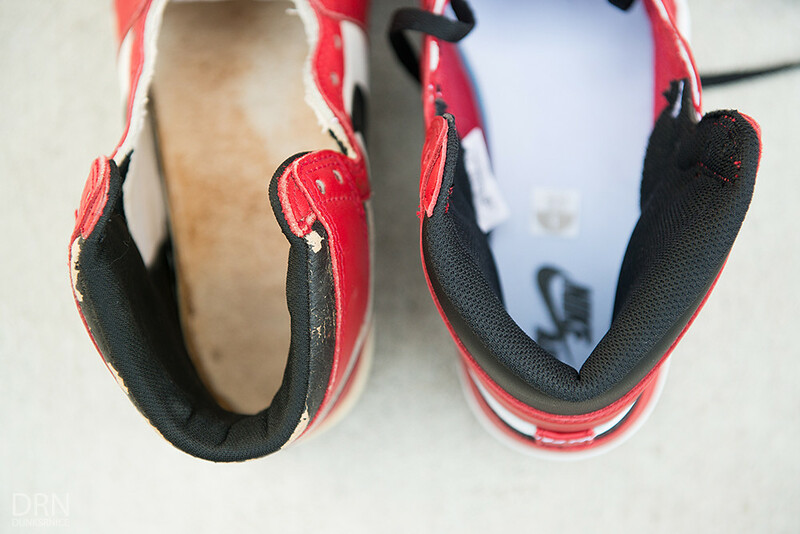 1985 Pair (Left) & 2013 Pair (Right) collar padding & material. 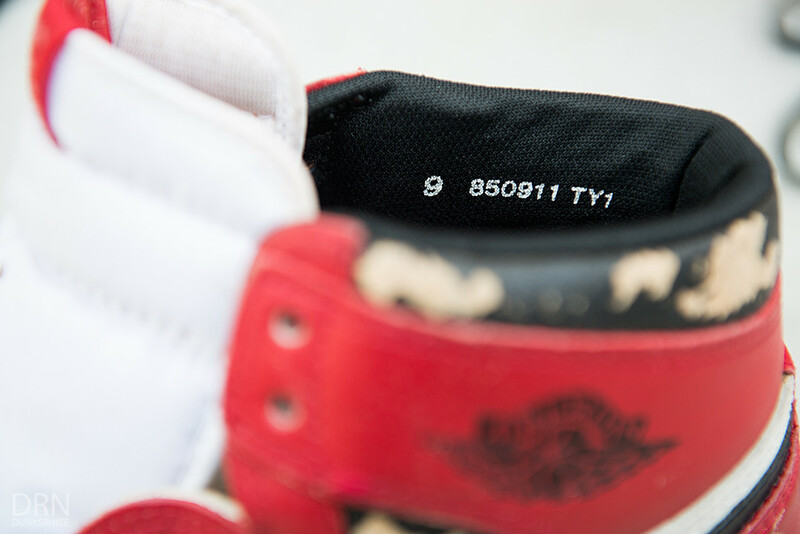 1985 Pair (Left) & 2015 Pair (Right) collar padding & material. 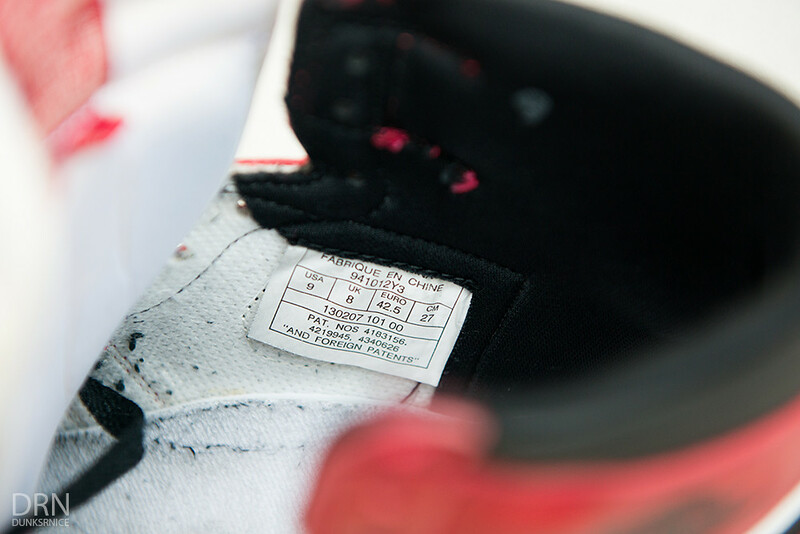 1985 Chicago production size tag/date. 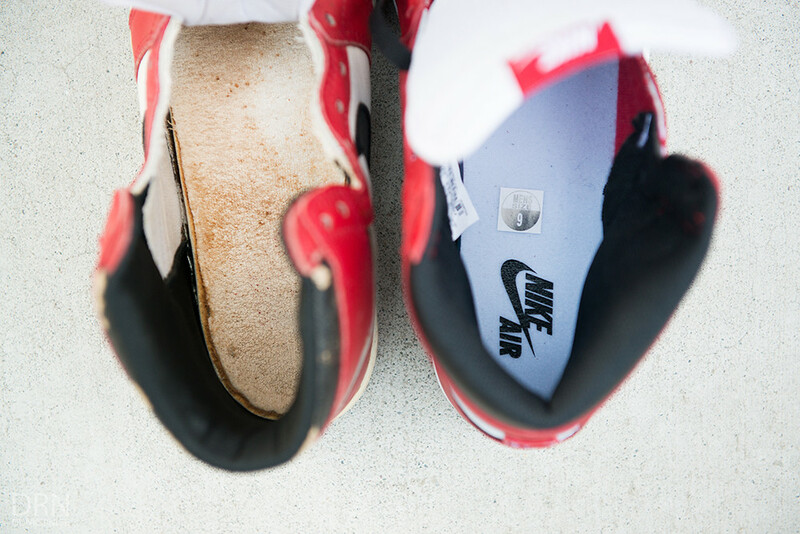 1985 Pair (Left) & 1994 Pair (Right) side by side. 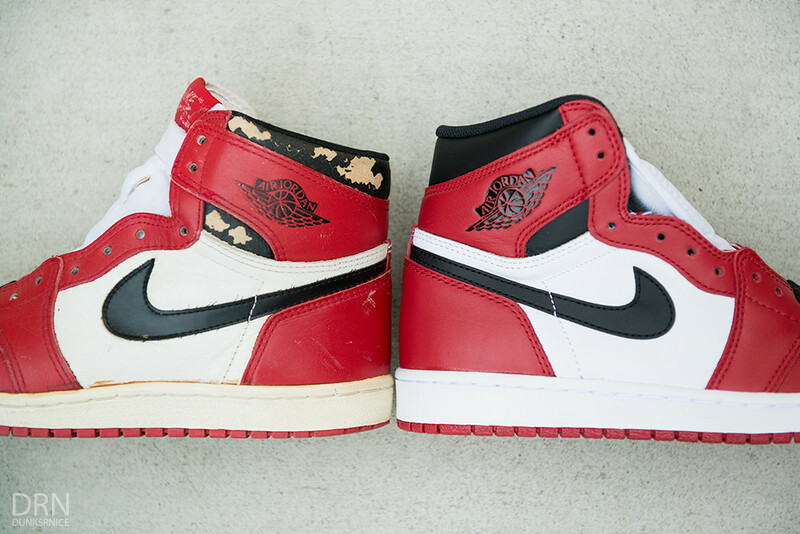 1985 Pair (Left) & 2013 Pair (Right) side by side. 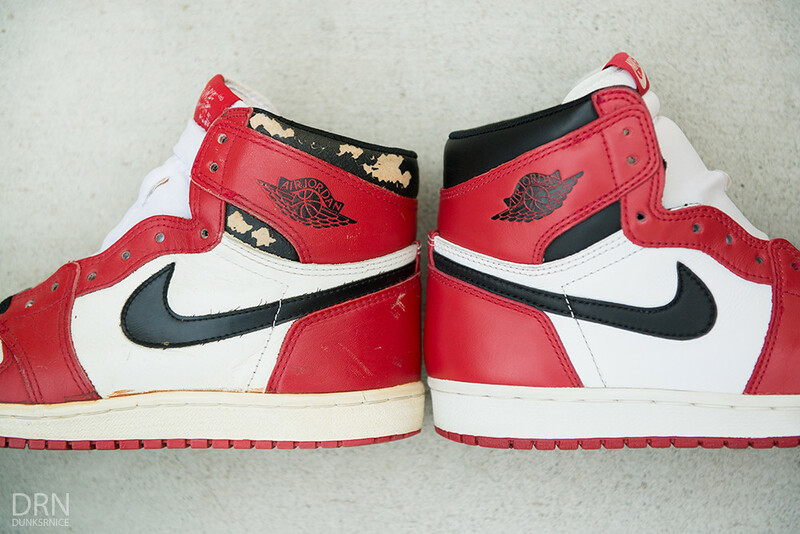 1985 Pair (Left) & 2015 Pair (Right) side by side. 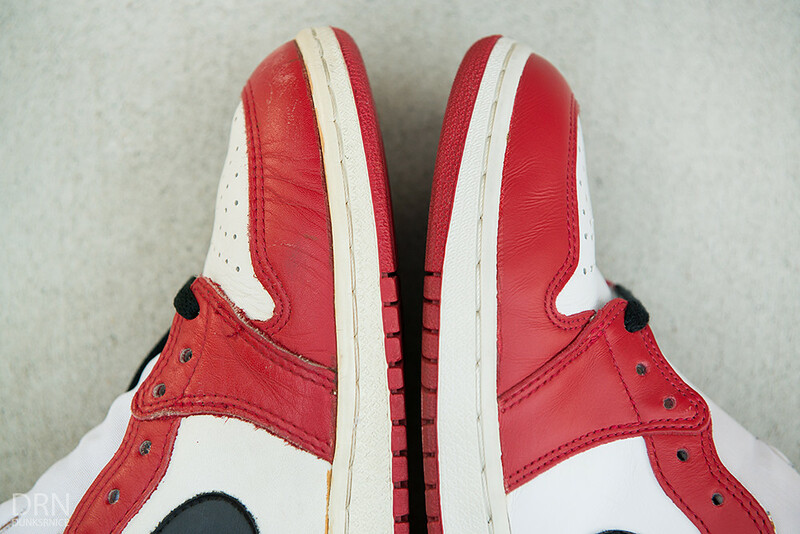 1985 Pair (Left) & 1994 Pair (Right) side by side up close. 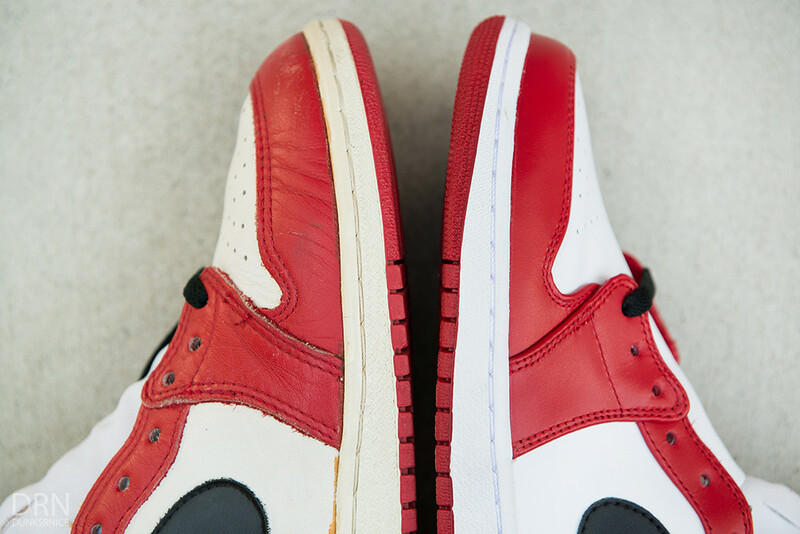 1985 Pair (Left) & 2013 Pair (Right) side by side up close. 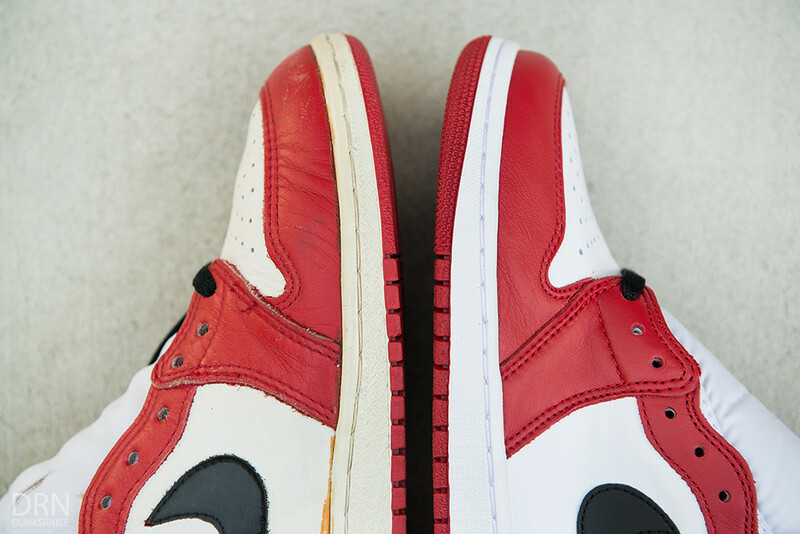 1985 Pair (Left) & 2015 Pair (Right) side by side up close. 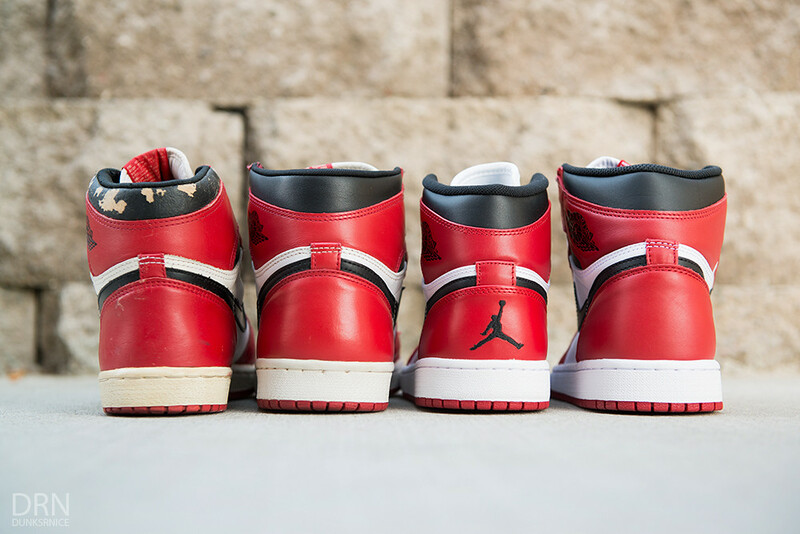 Left To Right - 1985, 1994, 2013 & 2015 toe box & length difference. 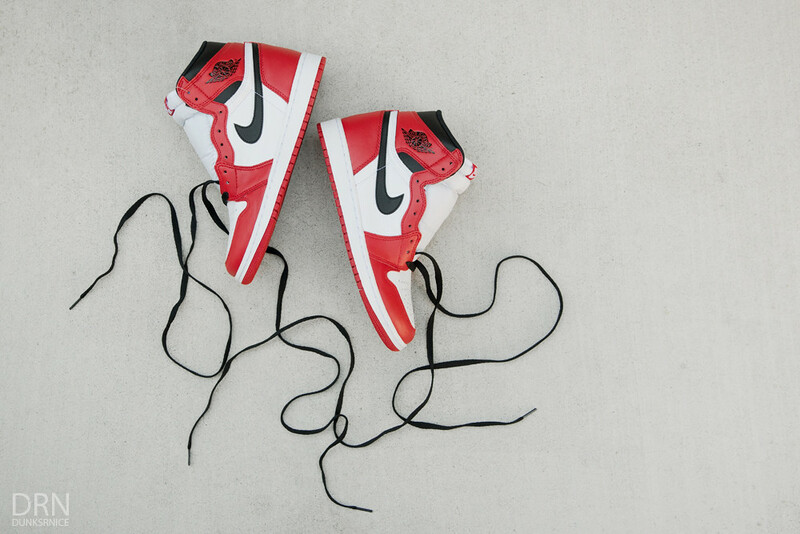 2015 comes with three sets of laces like the 1985 Pair. 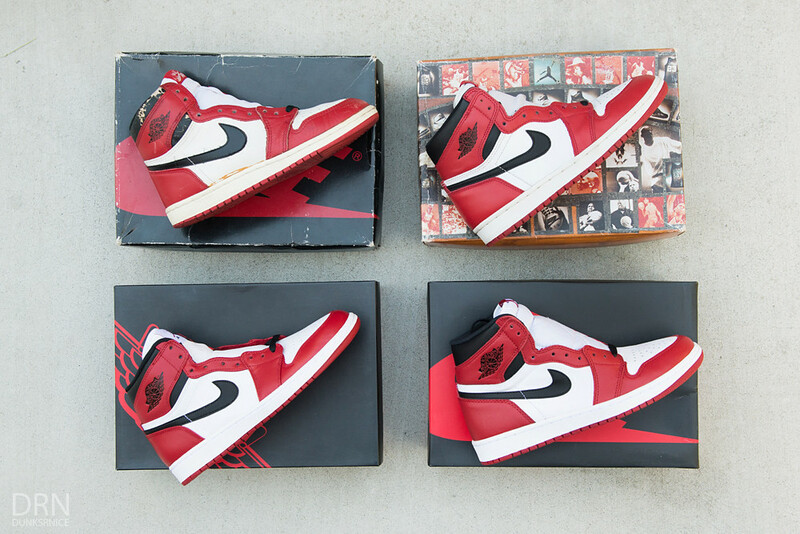 Left To Right - 1985, 1994, 2013 & 2015.